We would like to welcome Victoria R. from Kirkwood , Mo to the MyTennisLessons team. We pride ourselves on bringing on not only quality instructors, but quality people as well, which is why we are so excited to have Victoria on board. If you live in Kirkwood , Mo review Victoria qualifications, teaching experience, and hobbies below to see if they would be the right pro for you. Again, we are happy to expand our tennis lesson services in Kirkwood , Mo with the addition of Victoria. Sign up with Victoria R. today! My name is Victoria! I have been playing tennis for 16 years. I played through high school and college and and have taught for a total of about 3 years. Tennis is such a fun sport and I love sharing with others! Identifying your level is the first step. After that, it’s all about tailoring lessons to your learning style. Other than tennis I love to play soccer and listen to music. 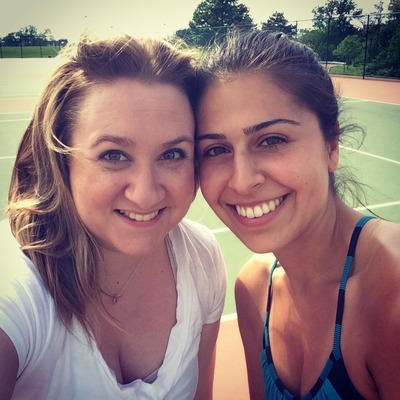 By Janet • On June 13, 2014 • In Instructional, Why Tennis?